Free apps and plugins for when you are writing your own content. If you are managing your own website updates, blog posts, or social media profiles you'll no doubt be doing a lot of your own writing and marketing. The best advice I can give is hire a professional copywriter. They are expert communicators and writing about your business is what they DO. They know how to craft your copy to help bring in more organic search results in addition to helping deliver your brand's voice in a way that your customers can understand. BUT if you've combed through your budget twice and still can't manage to make a copywriter fit then here are some resources for you. These are my top 5 time savers and annoyance eliminators for my own content writing. These tools won't necessarily make your writing better but they will make writing easier. This in-browser app will spell check and grammar check your writing as you're writing it or you can begin a new document in a separate tab. There is a paid premium version but the free does a great job of catching all the little spelling errors that could make you look like a jerk and catches grammar issues that Microsoft Word doesn't always see. Grammarly also displays character count, word count, estimating reading time, estimating speaking time, and a convenient synonym suggestion recommendation list whenever you highlight a word. One of the lesser known apps in Google's G Suite, Google Keep is great for jotting down small notes, saving website URLs, creating doodles, and managing your to-do lists. You can also collaborate and invite others to share your notes. This Google app works between your desktop and your smartphone. I find it particularly useful/timesaving for jotting down hashtags for Instagram posts while on my desktop and having them synced to my phone and ready when it comes time to post. You can also install this as an in-browser app. Highlight some text and right click you'll see an option to 'Save selection to Keep'. Kinda cool when you're in your research stage. This is another Chrome browser app add-on. If you are copying and pasting from your browser to a writing editor (like Word) you usually copy in the formatting as well such as font-size and weight. That can kind of be annoying. This in-browser app lets you copy plain text without any styling attached to it. If you insist on using Firefox I Googled and found this one for you Copy Plain Text 2. This tool is specifically for your website content. Yoast.com will have a lot of helpful articles on your website's Search Engine Optimization (SEO) in general and deliver regular tips in their newsletter but what is particularly useful is the WordPress plugin. If you are able, get the premium version. If not, the free version is still pretty valuable. Define your keyword and Yoast will analyze the content on your page and generate a list of improvements. 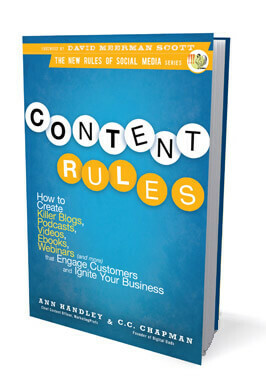 If you want to learn how to write better content I recommend these two books. I first bought the audible version but then decided to buy a physical copy as well. It had so many valuable resources listed and I wanted to be able to quickly reference them. 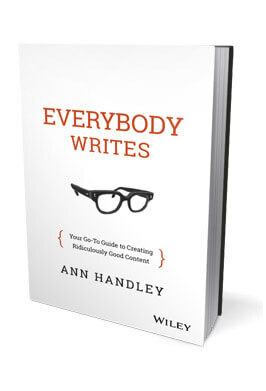 This book is loaded with best practices from blog length, general writing wisdom, and major do's and don'ts of writing. Do you have any favorite tools you use in your copywriting? Are you already using one of these or have your own favorites? Please do share in the comments. You may have heard, but we do free homepage audits. We'll review your design and your content then present our assessment to you. Sign up for your free audit here.